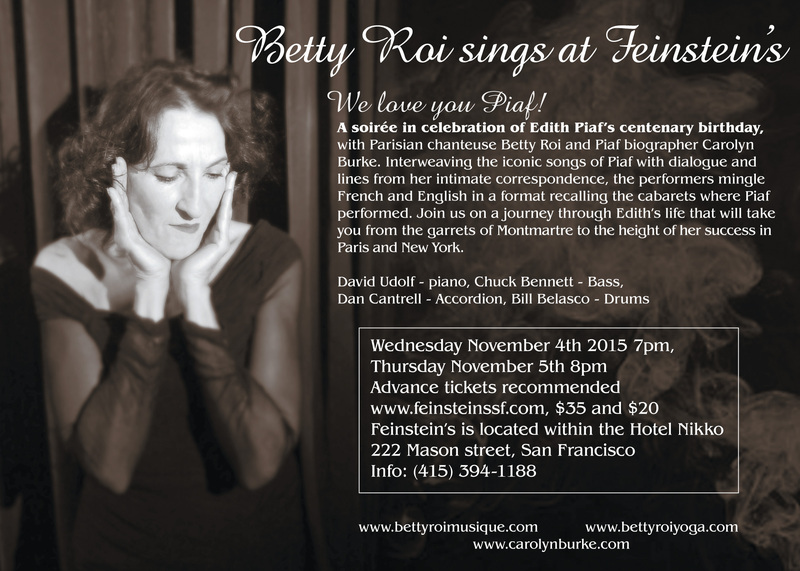 Carolyn and chanteuse Betty Roi present a soirée of words and music in celebration of the life of the Little Sparrow. Carolyn talks about Piaf on RCN's "Cultura" program. Carolyn will attend the opening of the Piaf centenary exhibition. Carolyn conjures up a visit to the Paris bookshop Shakespeare and Company. Read her illustrated talk, "Shakespeare with Rosy," in phren-Z, Winter 2015."